I also wanted to mention that it might be a good idea (just in case) to review form objections in Evidence on the chance that you end up seeing an Evidence Transcript Style Exam tomorrow. The form objections include both objections to the form of a question and objections to an answer. Leading, assumes facts not in evidence, compound and non-responsive. Of course there are other form objections, but the above are some of the most heavily tested. All the best to you this evening and tomorrow! Previous California Bar Exam: Congratulations to all who completed day two! 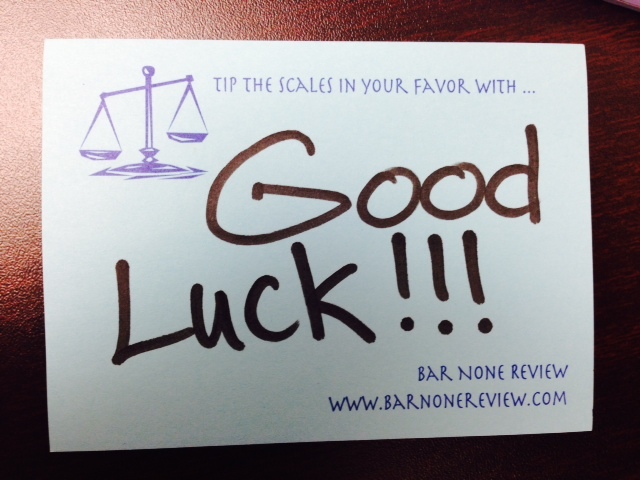 Next California Bar Exam Day Three: Good Luck Today!